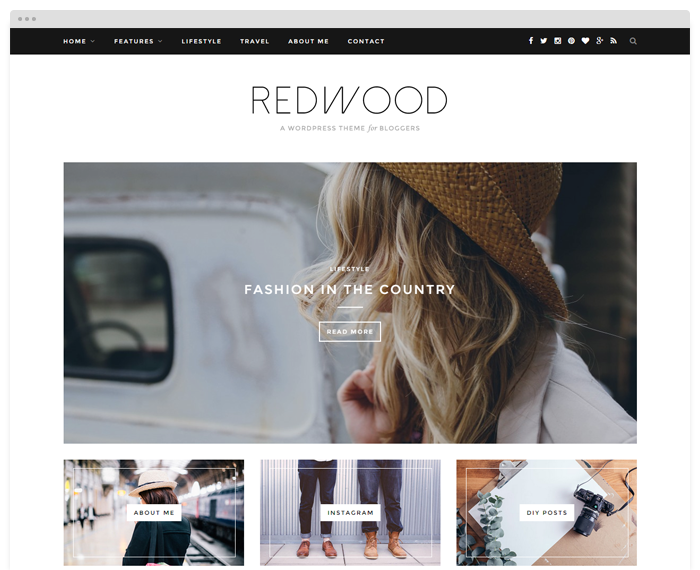 Crafted with bloggers in mind, impress your audience with Redwood’s classic, clean, and stately aesthetic. From its stunning slider and promo boxes to the plethora of color options options, Redwood delights visually and functionally, giving you the power to customize your blog with just a click of the mouse. And if Redwood’s numerous features, robust options, and arresting design weren’t enough, rest assured knowing that your theme is backed by Solo Pine’s acclaimed customer service. NEW! Customize Your Theme with Solo Pine Mods Check out Redwood's "Behind the Scenes" video!